Exclusive Disney Summer Sale ONLY for MY Guests! 3-Day Sale for July 4th weekend at Disney World! I have exclusive group rates for July 3-7. We have locked in rates for these dates. You can extend past these dates, if there is availability. These are room only prices. You cannot add dining. If you book at least one night, you get access to the exclusive group rates on tickets. This includes the After 4 PM ticket and discount 2-Day Passes. You will not find lower price on tickets anywhere. Also get some freebies! If you book at least a 2-Day Pass, you get a free day to play at the water parks. Plus, all guests get a free Mickey Treat Cooler with your hotel booking. This is amazing since the gift is valued at $75. Limited Time Magic 4/22-4/28 Celebrate the Planet! Come celebrate the 15th anniversary of Disney’s Animal Kingdom park at “Party for the Planet”—an Earth Week event where you can meet some of your favorite Disney Characters, purchase collectable merchandise and try out some tasty sweet treats! 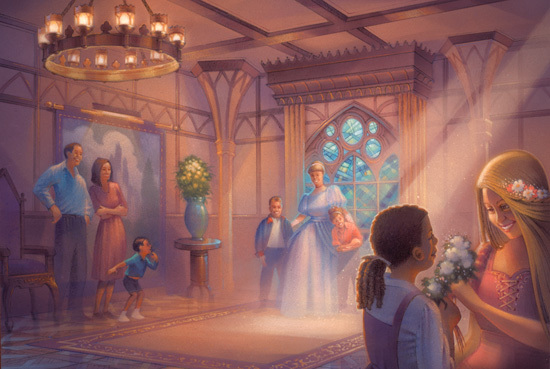 Remember, the Earth Week experience is only taking place for a limited time—don’t miss your chance to celebrate the planet in the most magical of ways! And – just like in the books and films – guests will be able to travel between ‘London’ and Hogsmeade aboard the Hogwarts Expressin The Wizarding World of Harry Potter Diagon Alley. 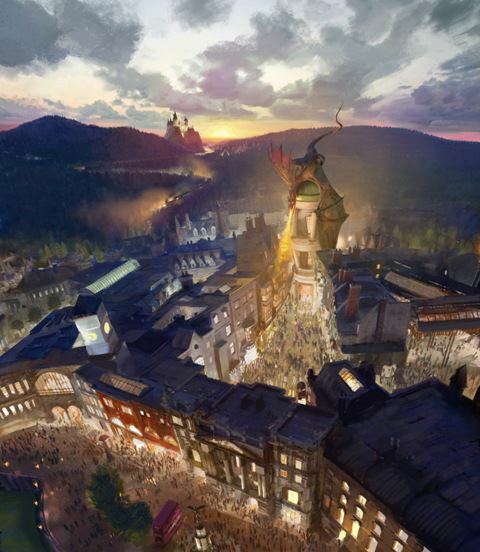 More details on The Wizarding World of Harry Potter –Diagon Alley will be released over time. What is Photopass + at Walt Disney World Resort? Disney PhotoPass Photographers are positioned throughout the Disney Theme Parks to capture the most magical moments of your vacation. When you choose to purchase Disney PhotoPass+, you can have all your Magical photos taken during a 14 day period for one price. It’s the perfect way to get amazing pictures you will treasure forever – and get everyone in the picture in the process. When you purchase Disney PhotoPass+ at least 14 days prior to your vacation, you will pay only $149*, compared to $199.95* if purchased after arrival. Dining and attraction photos must be associated with the Disney Photopass+ card to be eligible for inclusion on the Disney’s PhotoCD. *Bibbidi Bobbidi Boutique and Pirates League experience require additional fees. Photos are taken by Disney PhotoPass photographers. Providing the perfect way to capture your vacation memories with great photos and with everyone in the shot! Disney PhotoPass+ card. The special Disney PhotoPass+ card and lanyard means your card is always handy and the Photographers recognize Guests who have purchased Disney PhotoPass+. *Resort Service Desks are open limited hours: 8am – 12pm and 5pm – 9pm. 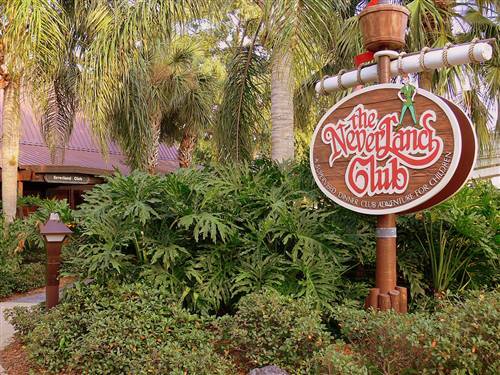 Disney’s Beach Club Resort’s PhotoPass Service desk is only open 5pm – 9pm. **Disney PhotoPass Photographers (and the Disney PhotoPass Sales Centers) are only available at the Water Parks during peak season (May – September). NEW!! Disney Visa – FREE Dining – Disney’s Visa cardholders can get a free Disney Dining Plan for travel dates of 9/2/13 – 9/25/13. You must purchase a package that includes a minimum of 3 nights’ accommodation at a Disney Resort and a minimum 2-day Base Ticket. If you stay at a Disney Value Resort, the Quick Service Dining Plan is free. If you stay at a Disney Moderate or Deluxe Resort, the Basic Dining is free. You can also upgrade from the Quick Service to the Basic Dining for an additional $19 per adult per night and $3 per night per child. You can also upgrade from the Basic Dining to the Deluxe Dining for an additional $45 per adult per night and $20 per night per child. Book by 7/31/13. Disney will require a deposit of $200 and final payment is due 45 days prior to arrival. Both the deposit and final payment must be paid with your Disney Visa Card. This discount is currently available just for Disney Visa Cardholders, but will be released to the general public on May 9. NEW!! Disney Visa – Save Up To 30% on Rooms at Select Walt Disney World Resort Hotels – Book your room only or package reservation and save up to 30% off the Disney Resort hotels for 8/15/13 – 9/28/13.. You can book a room only or upgrade to a package with tickets. You can even add one of the Disney Dining Plans for additional savings. This discount expires on July 31, 2013. This promotion will be released to the general public on May 9. 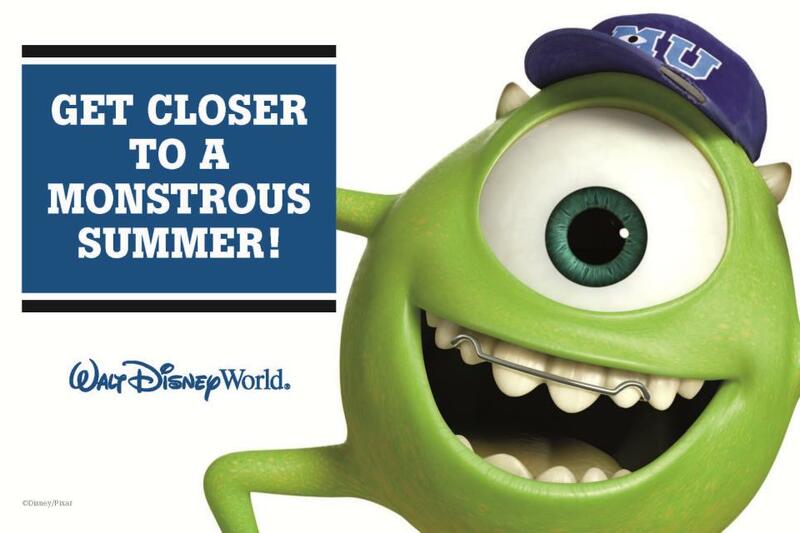 Save Up To 30% on Rooms at Select Walt Disney World Resort Hotels this Summer– Book your room only or package reservation and save up to 30% off the Disney Resort hotels for June 13-August 14, 2013. You can book a room only or upgrade to a package with tickets. You can even add one of the Disney Dining Plans for additional savings. Florida Resident Packages – Prices as low as $56 per person per day when you book a 3-Night/4-Day Package at a Disney Value Resort for Florida Residents. This package includes your room accommodations and the 4-Day Discover Ticket. This pass is good for 4 days at the Disney Theme Parks. You must show a valid Florida ID for each adult to take advantage of this discount promotion. Military Discount Active duty and retired members of the US military can get specially discounted rooms at the Disney resorts most nights from October 1, 2012 – September 28, 2013 except November 22, 2012 through November 24, 2012; December 23, 2012 through December 31, 2012; and March 25, 2013 through April 4, 2013. Service members can also get up to (6) 4-day Park Hopper tickets for just $156.00 at their base ticket sales office. Special Deals out of Galveston, TX – If Galveston, TX is near your home. Now is the time to book a cruise on the Disney Wonder with a free $100 onboard credit for an Inside stateroom, a $150 onboard credit for an Oceanview stateroom, or a $200 onboard credit for a Verandah stateroom. Plus, even better book by May 15 and the deposit is half off! The cruise dates are select cruises from September 28-November 16, 2013. CANADIAN RESIDENTS ENJOY 25% OFF – For a limited time, Canadian residents can enjoy 25% off prevailing rates (as quoted on the Disney Cruise Line website) on the June 3, 2013, June 10, 2013, and August 26, 2013 Disney Wonder sailings departing from Vancouver, Canada! Offer valid only for Categories 4A-11C. The number of staterooms allocated for this offer is limited. Jennifer is a Universal Specialist with Destinations in Florida Travel. Contact her for your free quote today at jenniferg@destinationsinflorida.com or 443-424-0181 and “Vacation Like You Mean It” this year! 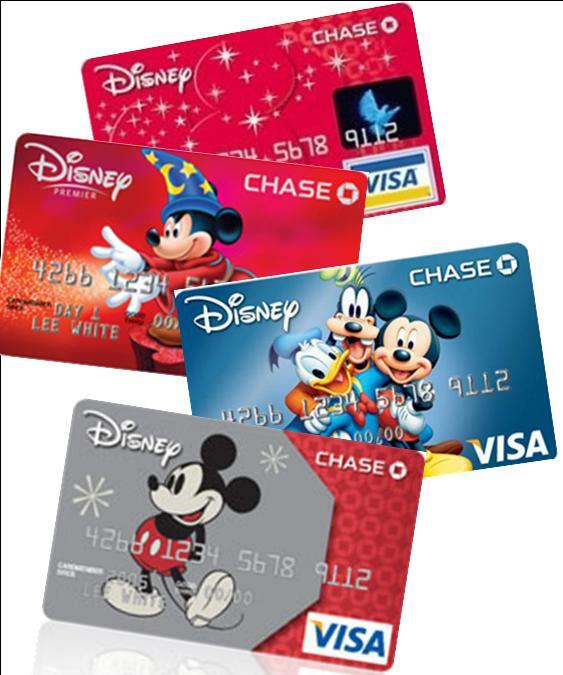 More magic for Disney Visa Cardholders! If free dining is not available or a good fit for your vacation to Disney World, you can also save with another discount saving you up to 30% off your hotel. This discount may be a better deal than the free dining, especially for those guests staying at a Disney Deluxe Resort. Your Disney Specialist will price both options to make sure you are saving the most money during your vacation. This hotel discount is available for travel between 8/15/13 – 9/28/13. For this resort discount, Disney has a few blacked out resorts including campsites at Disney’s Fort Wilderness Resort, 3-Bedroom Villas, and Little Mermaid Rooms at Disney’s Art of Animation Resort. For this discount, you must pay your $200 and final payment using your Disney Visa Card. This discount expires on July 31, 2013. Are you ready for FREE food at Disney World? The most popular Disney World discount is now available for guests that have a Disney Visa Card. For everyone else, stay tuned. This same discount will be released to the general public on May 9. Contact me today jenniferg@destinationsinflorida.com or 443-424-0181 to request a FREE Quote! This discount will sell out quickly. Everyone knows that Disney is the number 1 family vacation destination on the planet, but that doesn’t mean Mom and Dad can’t go on a date while they are on vacation. If they paid for it, I certainly think they deserve 2 hours out of 7 days of crazy kids, long lines and french fries in their hair at the end of a park day. Did you know that Disney offers on-site Children’s Activity Centers? 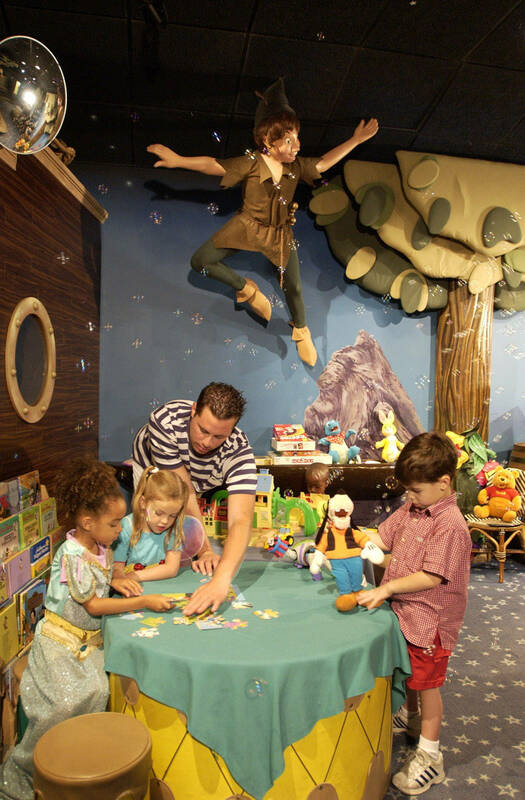 Make crafts, play games, watch Disney movies and eat dinner at these fun spots for kids. Dinner is included in the cost of the service, and parents can order kid-friendly fare for their children when they check in. A snack is also served at 10:00 PM. Children’s Activity Centers are located at select Resort hotels. Hours vary based on location. Please call (407) 939-3463 or the Resort hotel’s Front Desk for more information and operating hours. For more information about Camp Dolphin, please call (407) 934-4241.Advance reservations are recommended for all locations, except Camp Dolphin where they are required. Reservations can be made up to 180 days prior to your arrival to the Resort by calling (407) WDW-DINE, or (407) 939-3463.Same-day walk-ins are also welcome based on availability. Before you shudder at the fact that you will have to spend 24 hours/7 days a week on your expensive Disney dream vacation with your kids (don’t pretend you aren’t, I’m a Mom so let’s be honest), consider an on-site activity center for your next visit. 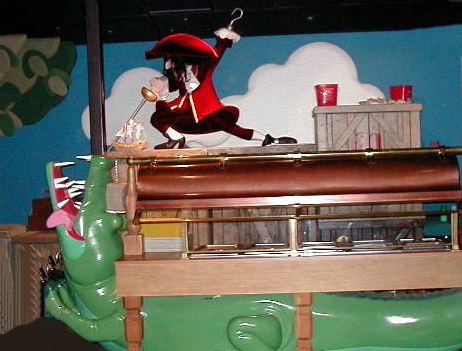 You can enjoy a nice meal at various signature Disney restaurants while the kids have a blast!